What’s the shape of business education in Texas? State deans’ group brings 2018 conference to UNT. Media: Journalists interested in covering the event should contact Monique.Bird@unt.edu or 940-369-7782. DENTON (UNT), Texas — Higher ups from business schools across the state are headed to the University of North Texas College of Business for an annual event meant to bring together the top leadership from Texas’ business-education programs. 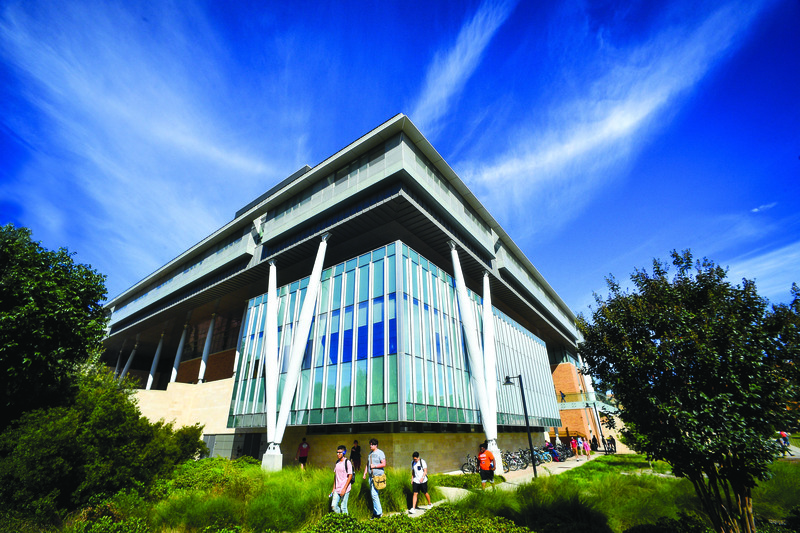 The Council of Texas Business Deans will hold its yearly conference and meeting on Sept. 30 and Oct. 1. The Denton event is hosted by Marilyn Wiley, dean of the College of Business. Several dozen deans and associate deans have been invited to discuss enrollment, retention, graduation, ways to improve educational systems and techniques to increase opportunities for students, among other topics. The event will be headlined by Robert Kaplan, president and CEO of the Federal Reserve Bank of Dallas, as its keynote speaker. Kaplan will have a conversation with UNT President Neal Smatresk on the state of the economy and the impact of business education in Texas today. Jamie Bonini, vice president of Toyota Production System Support Center. He will discuss the Toyota Lean Process Improvement System – a framework by which organizations can best use time, money and other resources to maximize efficiency and eliminate waste, without sacrificing quality or productivity. Bonini will also explain how the system was implemented by UNT and ways it can be applied at other universities. Brenda McCoy, associate vice president of strategic initiatives and administration in the UNT Division of Enrollment. She will share details about how institutions of higher education can recruit, motivate and retain millennials and Generation Z students. Jeff Gibbs, regional vice president of Liaison International, an Allen-based organization that partners with educational institutions to improve the application process for graduation students. He will give an update on graduate education enrollment and management. Ananth Seetharaman, chair of the UNT Department of Accounting. He will discuss how the program was able to greatly improve the success and number of students who passed accounting courses, without changing curriculum. Day 1 – When/Where: Reception at 6 p.m. with a dinner to follow from 7 to 9 p.m. Sept. 30 (Sunday). Event takes place inside the atrium of the Business Leadership Building, located at 1307 Highland St. in Denton. Day 2 – When/Where: 8 a.m. to 4 p.m. Oct. 1 (Monday) at the Embassy Suites Convention Center, located at 3100 Town Center Trail in Denton.